I got the opportunity to play in a city championship on opening day today, which is always a pleasure to be able to go out and get your feet wet day one of a new format. I played in the St. Louis, Mo. City Championship at GameNite, where we had 28 players in the master’s division in a tournament with 5 swiss rounds and a top 4 cut. On Friday night, I got in 7 hours of testing at Yeti Gaming. The deck I did most of my testing with at night was a Landorus EX/Terrakion deck, which I thought I would probably end up playing, but I had tested Blastoise/Keldeo extensively over the past two weeks as well. While my win percentage in the testing session was very high with the Landorus EX deck, but something just wasn’t clicking with me with the deck, so I didn’t feel the most comfortable playing it. My initial assumption was that Eelektrik decks would see a lot of play, as players wouldn’t want to drop what was working last format, which would make Landorus EX a very strong play. However, over the last week it seemed like a lot of Eelektrik players were beginning to question the deck, and start to pick up stuff like Darkrai/Hydreigon and Landorus EX decks, which would make Blastoise a stronger play than it had looked previously. Initially, we actually had two City Championships planned for the weekend too. My initial idea was to test the waters with a safe Landorus EX list, and then play Blastoise in the Sunday tournament , with necessary techs to deal with whatever the meta game ended up being. Unfortunately, the Sunday tournament got cancelled, so I would have to settle on just one deck for the weekend. All in all, I settled on Blastoise, thinking the meta would probably shift to less Eelektrik. Was dead wrong, and half the field was Eelektrik decks…whoops, should have played Landorus! Dema Boatman, one of the best senior’s in our area, also played my list in the tournament too, so we set out to take on the first City Championship with our Blastoise decks. I have been really going heavy into testing with this deck over the past two weeks, and it’s amazing to see where the list was at just two weeks ago and what the list became in time for City Championships. My list originally started with a teched Terrakion in it to help with the Darkrai/Hydreigon matchup, but the more I got to testing the matchup, the more comfortable I became using solely Keldeo EX in this matchup, so Terrakion and the Fighting Energy were dropped from the deck for more water. Without Terrakion in the fold, I was able to cut some other cards from the deck that were in there to make use of Terrakion, opening up more space. I sent my list to Clifton Goh, and he sent me some potential changes for the deck, some of which I ended up incorporating into the final list. As always, Clifton was a big help in getting the list to its highest quality. The biggest breakthrough I had with the deck was cutting my four Super Scoop Up for four more useful cards. I do think Super Scoop Up is quite strong in this deck, as it allows you to heal your Keldeo EX, as well as pick up Energy off of one of your Pokemon only to dump the Energy onto another Pokemon, consolidating all of the Energy for some massive attacks with both Keldeo EX and Mewtwo EX. 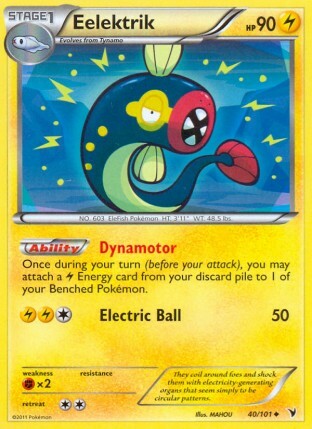 The card also gave you mobility for getting other attackers into the Active Spot that weren’t Keldeo EX. What I didn’t like about Super Scoop Up is that when it was included, it was four spots, and as such, and important part of your strategy. I began feeling less and less comfortable having flips be a key component of my strategy, as I would flip tails and have these cards end up being useless in the end. 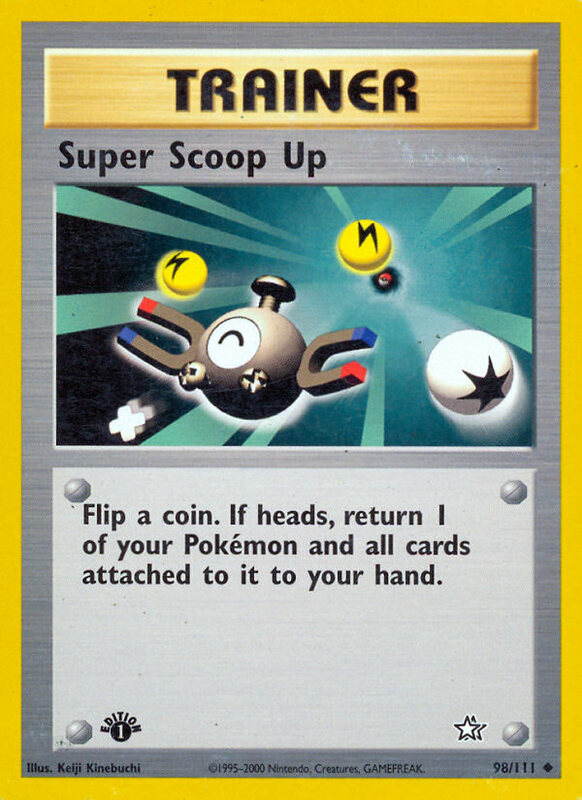 The four cards I replaced it with would always serve a utility, while Super Scoop Up only would when I flipped heads. In the end, I was choosing certainty over uncertainty, even if Super Scoop Up had potential game changing effects. I think my build can be described as one thing: CONSISTENT. I played a ton of draw Supporters with 4 Professor Juniper and 4 Bianca, and a lot of Water Energy, with just enough recovery cards. Playing four each of Professor Juniper and Bianca, along with a Computer Search gave me a lot of protection from N. Additionally, if I got Water Energy on the field on earlier turns to setup attackers in case my lead attacker got knocked out, I could use Skyla to get me an Item like Pokemon Catcher to do exactly what I wanted on a turn, or even use Skyla for Energy Retrieval to grab me two Energy cards in a pinch. The way I chose to play the deck was similar to a Base Set style Rain Dance deck, and that was I wanted to draw through almost my entire deck as fast as possible to get as much Energy onto my field as I possibly could. As far as interesting cards included in my list, there were two: Tropical Beach and Keldeo BCR 47. The Tropical Beach was Clifton’s idea, and I have to say, I was very pleased with the results, it won me games. 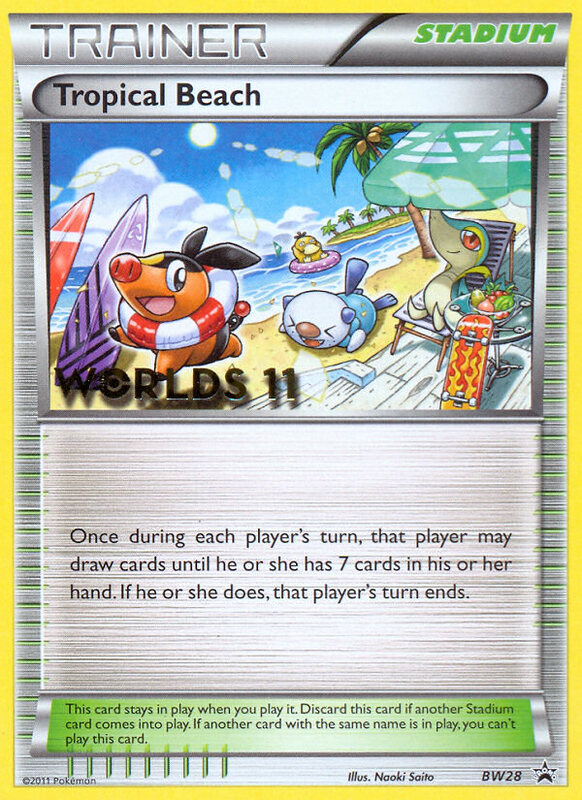 Skyla for Tropical Beach on turn one was always a strong move, and really helps in getting a fast Blastoise setup. The card also gives you protection from late game N’s, giving you a way to draw out of a small hand in the late game. 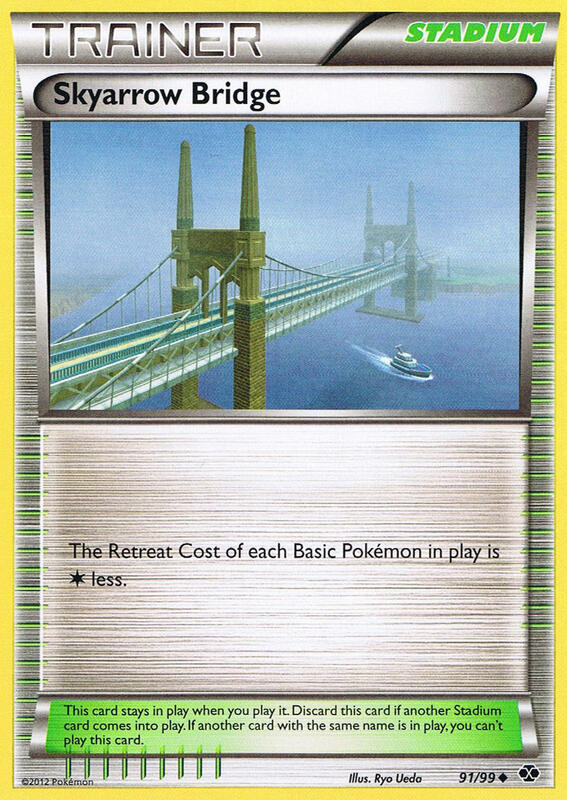 If your opponent uses a counter Stadium, it would often be a Skyarrow Bridge, which works well with Blastoise decks as well. It allows you to promote Squirtle or mini Keldeo after your opponent takes a knockout, giving you free retreat and choice of what attacker you want on a given turn (Keldeo EX, Keldeo, or Mewtwo EX). 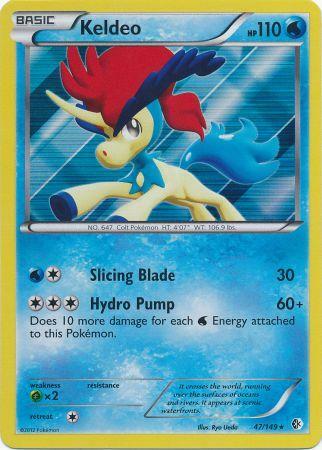 It also forces you to only discard one Energy with Keldeo EX to retreat, once again, making it easier to move into another attacker. The mini Keldeo was mainly in here to be my Sigilyph DRX counter, as with three Water Energy attached, it could ohko Sigilyph. I thought it would be important to have a non-EX attacker that wasn’t Blastoise to attack Sigilyph with, as this deck needs Blastoise on the field to function, so I never ever want to put Blastoise in danger of being knocked out, at least without forcing my opponent to use Pokemon Catcher, wasting away their resources. Additionally, if I put Energy on a separate attacker, if they knockout my Blastoise, I will still have that Energy on my attacker to attack into my opponent’s field. Outside of Sigilyph, the card is still good as it gives you a non-EX attacker that swings for a decent amount of damage (90+), and who has a bulky enough HP at 110 to survive hits from a lot of Pokemon in the format. Overall, I was really happy with the build. It did a good job of getting Blastoise onto the field fairly early, and once Blastoise was setup, it was able to power up very strong Keldeo EX’s very fast as it played a lot of Energy. This game pretty much went my way from the get go. I got a turn two Mewtwo EX out and attacking, while she kind of stumbled out of the gate on getting a bench full of Tynamo. 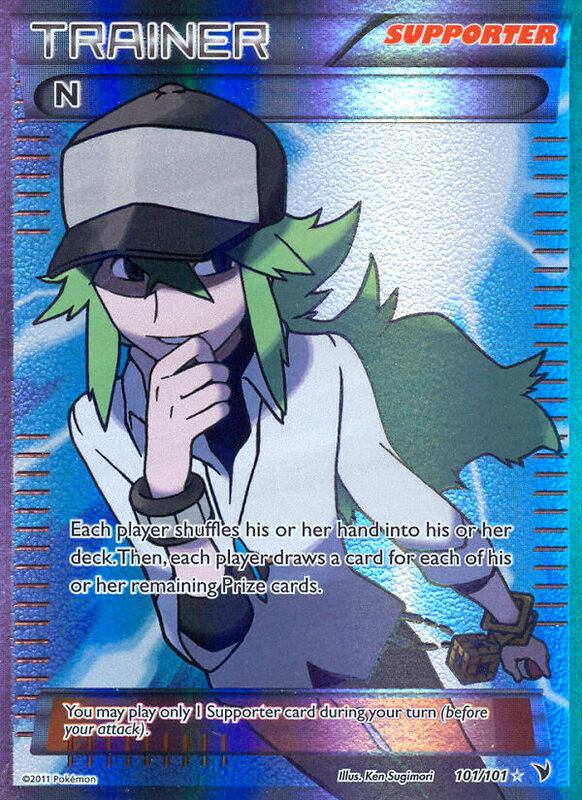 My hand at one point consisted of three Pokemon Catcher, so my turns would just be catcher Tynamo, knock out for a few turns. She benched a Mewtwo EX at one point, but I think she whiffed on a Double Colorless Energy to get it attacking, so I was able to take a 2hko on it, bringing it up with Pokemon Catcher two turns in a row. From there, she finally knocked out my Mewtwo EX, after it had taken four prizes, and I just powered up a Keldeo EX with eight Energy to finish the game with a Secret Sword on her Raikou EX. Looked at the pairing sheet and knew I would have to play against Rayquaza/Eelektrik once again…grrr….This game was very fast paced. I got Blastoise setup really fast, while he was able to get a turn 1 Emolga to fill his bench with Tynamo that quickly evolved into Eelektrik on his next turns. He used an Energy Switch to move the Fire Energy attached to Emolga DRX to his Rayquaza EX, setting up a turn 2 Dragon Burst for 180, knocking out my Mewtwo EX. From there, I setup a Keldeo EX with three Water and catcher ko’d an Eelektrik. He then ohko’d that Keldeo EX with Rayquaza EX. I did the same thing the next turn, as I knew he would lose steam if he didn’t have the Eelektrik’s to attack with, which would buy me some time. I laid all of my Water Energy on this single Keldeo EX that I could, as I knew I was going to live and die by this Keldeo EX. He promoted a Rayquaza EX active, while trying to setup another on the bench. I was able to make this big Keldeo EX play as he was now running low on Eelektrik, so it would take two turns to power up a new Rayquaza EX, just giving me a small enough window to win the game. At some point during the end of this, I had played Tropical Beach down, replacing Skyarrow Bridge to gain more resources. I thought I was in trouble and was going to lose the game when he had a manual attachment from the hand to setup a 180 damage Dragon Burst, but because Tropical Beach was now the Active Stadium instead of Skyarrow Bridge, he couldn’t free retreat his Rayquaza EX into his other one to end the game, which bought me a turn. From there, I got the catcher, and whatever energy I needed for the ohko, and knocked out that Rayquaza EX with all the Energy, and was pretty well in control of the game from there. 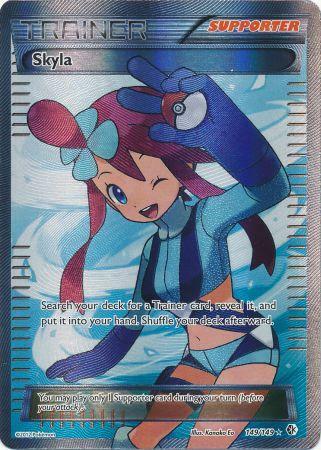 He N’d me to one card, but I drew Skyla off the N for the game winning Pokemon Catcher. Hey, finally a deck that my deck doesn’t have a completely horrible matchup against. This game was fairly one sided in my favor, with me getting an early Mewtwo EX powered up which knocked out a Zweilous for me early, then a Sableye DEX. My opponent dropped his own Cresselia EX and Mewtwo EX onto the bench, I guess in hopes of getting out a Hydreigon in quick order to move Energy to do instantly deal with my Mewtwo EX. Instead, he has to settle on 2hko’ing my Mewtwo EX with Night Spear, while I dump Energy onto Mewtwo EX and take the catcher ko on his Mewtwo EX to go up 4-0 on prizes. I decided to go for his Mewtwo EX before the Cresselia EX, as I felt Keldeo EX is better able to deal with Cresselia EX than Mewtwo EX. From there, he took the knockout on my Mewtwo EX with Night Spear to take his first two prizes. I promote Keldeo EX active, catcher up his Cresselia EX, and play some type of Supporter, it was either a Professor Juniper or Skyla for Energy Retrieval, I don’t quite remember, but whatever it was gave me enough Energy to ohko his Cresselia EX to win the game. At this point in the tournament, there were four x-0’s left, myself, two Landorus EX decks, and a Rayquaza/Eelektrik deck. Naturally I would be paired against the Rayquaza/Eelektrik deck. This game went pretty well in my favor from the get go. I was able to get a turn 2 Mewtwo EX attacking, and start catcher ko’ing Tynamo, while my opponent struggled to get much of a setup with all of his Emolga being prized. Without much in terms of energy acceleration on the board, I was able to sweep with Keldeo EX for the win after my Mewtwo EX died a slow death to 60 damage Dragon Bursts. In this game I played against my friend Colin, as we were the only undefeated players left in the tournament. We had actually tested this matchup a few times, with his Landorus deck winning some of the games and my Blastoise deck winning some of the games. Over the past few days, I really started picking up some new strategies that really helped swing this matchup in the Blastoise players favor. I have found a strategy of using the non-EX Keldeo to be very effective in this matchup. 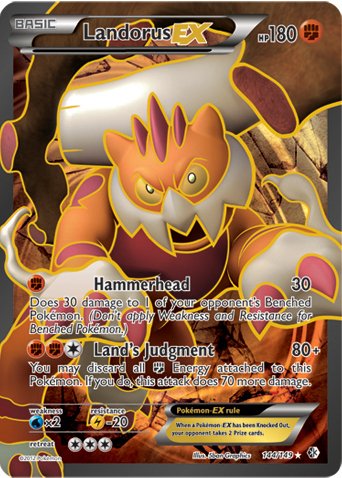 The card is able to ohko a Landorus EX for just three Energy, and then after the knockout, it is hard for your opponent to respond to a knockout on it, as it has a just bulky enough 110 HP, which puts it out of knockout range for Terrakion (90 damage) and Bouffalant (60 damage), and a Mewtwo EX will either need three Energy or a PlusPower to knock it out. What this means is that this little non-EX is usually able to give you 2-3 prizes for the 1 prize you give up with it. In this game, mini Keldeo did a lot of damage for me. It knocked out a Landorus EX with Hydropump, as well as a Landorus NVI. It also got a swing in for 90 on a Terrakion (which was later healed off with Gold Potion). Still taking three prizes with a non-EX, and placing more damage elsewhere is huge in any matchup, and I don’t think the little guy ever ended up getting knocked out in this game as Colin targeted my other attackers and Blastoise. I was able to get Professor Juniper’s off on I think three consecutive turns, which allowed me to get a lot of Energy on my field. 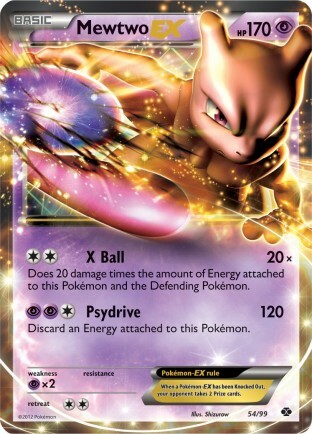 This allowed me to load up four Energy on my Mewtwo EX to catcher ko his undamaged Mewtwo EX, and then played about five Energy on my Keldeo EX so that it would be able to knockout anything after he knocked out my Mewtwo EX, and take my final prize. Unfortunately Colin ended up missing top cut on resistance, and we were only five people short of a Top 8, which makes it an even greater shame. In top 4 I got paired against Jac Carter, the lone Rayquaza/Eelektrik deck to sneak into top cut. Jac was my opponent in round 4, so we already got some time to feel out each other’s decks, and get a feel for what the other person is all playing in their decks. The first game was a blowout in my favor. I got to go first, and got a Mewtwo EX setup on turn 2 that I was able to catcher ko a bunch of Tynamo with, allowing me to limit his energy acceleration throughout the game, preventing him from ever getting off a very strong Dragon Burst. 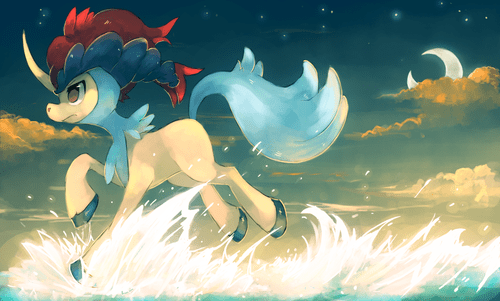 Eventually I just built up a giant Keldeo EX to sweep me to my last few prizes. Conversely, the second game was a blow out in his favor. He got off a turn one Call for Family, loading up his bench. From there, he had Raikou EX and Rayquaza EX up and attacking and was very easily able to take a quick lead in the prize exchange that I could never recover from. The third game, we met in the middle for a very close game that came down to the final plays. I started with my Keldeo, so I worked on getting that powered up somewhat early in the game and really wanted to knockout some Eelektrik with it and put early pressure on my opponent. On the turn I would get Blastoise setup, I catchered up an Eelektrik, ready to knock it out. I had to use a Water Energy attachment on a Squirtle to retreat it, as Skyarrow Bridge wasn’t in play at this point. Off my Supporter for the turn, I whiffed the third energy, and knew I wouldn’t be able to get the knockout on the Eelektrik, so I used another Pokemon Catcher on his Rayquaza EX to force him to use resources if he wanted to Dynamotor to it that turn, and used Slicing Blade for 30 damage, and I did this two turns in a row to put the Rayquaza EX down to 110 HP remaining, enough for a three Energy knockout by a Keldeo EX. The one thing that leading off with mini Keldeo did for me was create an even/odd prize exchange between myself and my opponent, as you can’t really just target the single prizes against a Keldeo EX deck, as you would then just be leaving a massive Keldeo EX to knockout your own EX Pokemon, so Keldeo’s ability to ohko Pokemon protects your support Pokemon from being targets. I believe my first two prizes in this game were with Mewtwo EX against a Tynamo and then an Emolga. The game quickly delved into a fast and furious state, with EX’s exchanging ohko’s on each other, and I noticed a very slim path for victory for myself. I needed to create a giant Keldeo EX in one turn, to knock out his Mewtwo EX I believe. After I knocked that one out, he would be forced to respond with the knockout with his Rayquaza EX with 110 damage (being unable to use the other one, as the Energy was on this one already, and unable to use Max Potion to heal off the damage, as then he wouldn’t have the necessary Energy) thus giving me a path to victory if I can create this six energy Keldeo EX and follow it up with a three energy Keldeo EX to get the knockout on that Rayquaza EX for my final two prizes. After playing a Professor Juniper, I hit all of the Energy needed to power up the first Keldeo EX, but don’t get any extra to start setting up the response attacker. I take the knockout on one of his EX’s, and draw Squirtle and Energy Retrieval off my prizes, so my hand is those two cards and a Bianca. I would get two of my Energy from the Retrieval, play down my Squirtle, and use any Item card I may have had left in my deck (I think I just had a Super Rod as my only Item card), and then Bianca for either six cards, or five cards, which almost certainly would have netted me the last Energy to win the game. He N’s me to two cards though, and I have about a 9 card deck remaining, so things get dicey on whether I will hit some combo that gives me three Energy to win the game, but I do have 3 Bianca remaining in my deck, so I have an ~76% chance of drawing one of those either off of my two cards from the N, or the draw. I get pretty much the worst three card combo imaginable off of the N, given the remaining cards in my deck. I got the Squirtle, the Super Rod, and an N. I N myself to two cards, hoping to get that Water and Energy Retrieval combo to win the game. I draw a Water for the first card, and then another Water for the second card. So my great run ended in game 3 of my top 4 match to a 2-card N, falling one Energy short of a win. Very disappointing indeed, but my opponent played the matchup out well, and we put on a good match in game 3 that was surely exciting for the few people watching the game. In the end, I am pretty happy with the result. It felt great to go 5-0 through Swiss, and I did everything possible to put myself in a position to win my Top 4 match against a bad matchup, I just didn’t draw into the right cards right at the end. Honestly not surprised that I lost my Top 4 matchup, as Rayquaza/Eelektrik isn’t a very good matchup. I had managed throughout the day to down Rayquaza/Eelektrik decks repeatedly, but eventually one was going to get the best of me if I had to keep on playing them, and that’s what ended up happening. If I had gotten in to the finals, I am confident I would have won, as I would have been playing the same Hydreigon deck I had already beaten in Swiss, and I’m pretty sure he didn’t play either Sigilyph or Shaymin EX, which would have tilted the matchup heavily in my favor. I made a pretty poor meta choice given that nearly half the field was Rayquaza/Eelektrik decks. In the end though, two of the three Blastoise decks that were played in the 28 player field ended up making it into the top cut, which just proves the strength of the deck. I really liked the impact Skyla had on the day. I played three in my deck, and most of the opponents I played also had high counts of it in their deck, which allowed us all to get what we wanted when we wanted to most of the time, which made for some more skillful games than last format, where players repeatedly whiffed stuff. Because I was the undefeated during Swiss, I ended up getting 3rd place, although that is somewhat insignificant as there is no prize or point difference between third and fourth place. I added 30 points to my Championship total, putting me at 50 points on the season. I have had some good success now in local tournaments, finishing in the top 8 in the standings in 4 of the 5 local events I have played in, and getting 3rd place in three of them. I still have a long way to go towards the world’s invite, but this tournament provided some good progress for my points total. In the prize packs I received, I ended up pulling Computer Search, which was a nice pull, given my otherwise horrible pull from the rest of the Boundaries Crossed packs I’ve opened. Overall, it was a good tournament, and it felt good to beat my bad matchup in 3 of the 4 matches I played against it. I really wanted to take home first place, get a trophy, and all those good feelings that come with first, but I just fell short in this tournament, maybe next time! Lastly, thanks to Dema for lending me a Tropical Beach for the tournament. He ended up getting first place in Seniors with my list, which was awesome to see. Did you play any Cilan in your deck? What do you think of using Kyurem NVI? In addition to being a good Sigilyph counter, it does help set up for some double knockout potential. Or, at least softens up their bench for MewTwo and Keldeo EX. I did not play Cilan in my deck. I don’t really like it in the deck, as it does nothing to aide in your setup, while all the other supporters do. Conversely, a Professor Juniper, Bianca, or even an early game N will usually net you around the same amount of Energy as a Cilan, while gaining you some more resources. Even Skyla almost can match Cilan’s output by searching out an Energy Retrieval for two Energy. I had Kyurem in originally, but it was too slow to setup, so I took it out. You usually don’t hit the turn 2 Blastoise, so you will be waiting until turn 3 at the earliest to start Glaciating with Kyurem, and that is usually a turn too late, as your opponent will have something ready to knock it out. 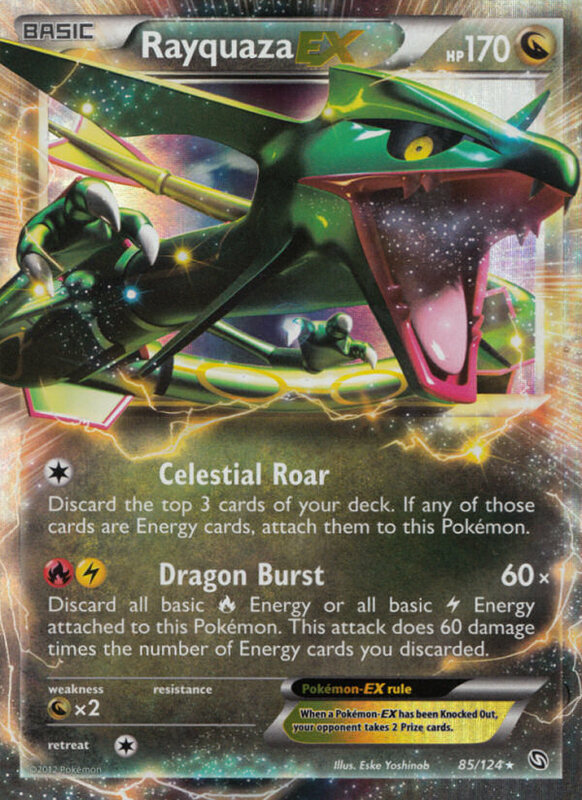 There’s also the issue of getting the Energy to retreat into it, and then get three Energy on Kyurem as well. The card is also completely useless in mirror, which will probably start becoming more popular in the coming weeks. 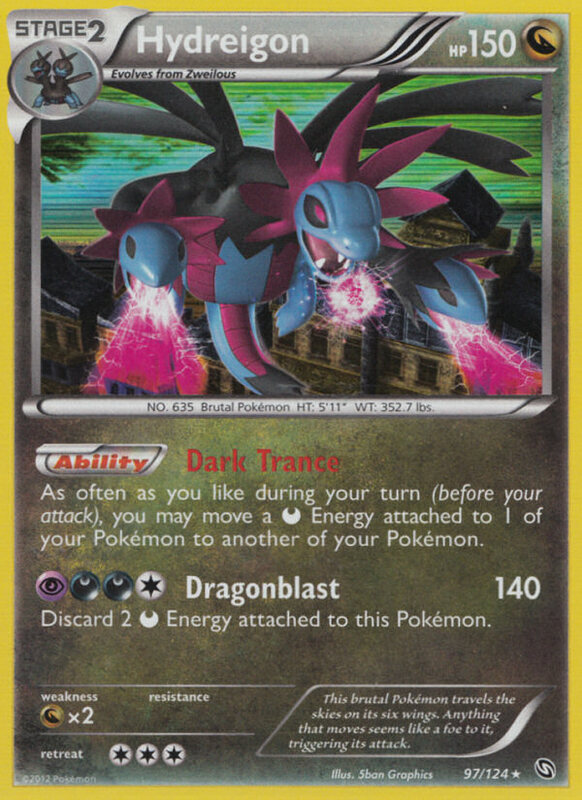 If there was a way to ensure a turn 2 Kyurem every game, I think it would be great, but as is, you can’t really get Kyurem out fast enough for it to have a big enough impact on the game. The only matchup in which I think it really would theoretically shine is the Eelektrik matchup later in the game, in an attempt to catcher/stall an Eelektrik, but with Skyla in the format, they’re almost always going to get the Switch to get that Eelektrik out of the active spot, and then they will just ohko your Kyurem. If not running SSU, were you running Max Potion or a heavy line of Energy Retrieval/Super Rod? Max Potion has gotten a lot of hype for this deck, which while I see the appeal it sounds devastating to lose all the energy on a Keldeo. I suppose it is better than getting KO’d and all that energy going to the discard as well as your opponent getting 2 prizes. I played a single copy of Max Potion. I didn’t really use it much at all, usually just to heal off damage on something with no energy on it that my opponent targeted in the early game. It didn’t seem overly useful, but I also played Rayquaza/Eelektrik in 6 of the 8 games I had to play between Swiss/Top Cut, so that likely is a contributing factor. It is easily one of the most likely cards that I would cut from the deck. I didn’t really run a very heavy line of either Energy Retrieval or Super Rod. Just 2 of the first, and one of the latter. You know I’m anxious to hit that Post Comment button! My mistake. The next question is, would you recommend running this deck without Tropical Beach? As many of us do not have TB readily available, and the prices haven’t dropped all that much since the last time TB was considered a staple card for a competitive deck(Chandy Beach), it is put out of reach for many players. I have half considered running Battle City for a similar effect, but it very obviously falls flat compared to TB. From your report it certainly seems like TB alleviates this deck’s worst enemy, the late game N. Does the addition of TB make this deck so much better that it is worth buying TB? I did most of my testing with the deck without Tropical Beach, and it runs fine without it, but Tropical Beach definitely helps a little bit in getting setup if you can get it in the early turns before you’re attacking, and does provide some N protection, although I don’t think I ever used it to recover from N in this tournament. I wouldn’t replace it with Battle City though, that card just isn’t very good.